Welcome to Pension Sonnenheim ! 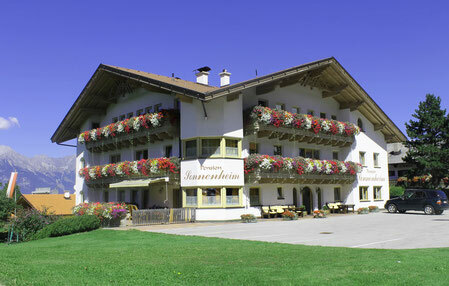 Our pension SONNENHEIM in Schonberg im Stubaital located at about 1000 m above sea level and is only 10 minutes drive from the Olympic city Innsbruck. 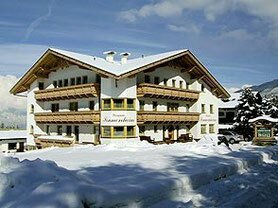 "Small is beautiful", which applies to Schonberg im Stubaital. A small community with rural characteristics, centrally located and easily accessible, a resort, where the guest is a guest, where even the smallest wishes can come true. Schönberg im Stubaital at the entrance to the Stubai Valley - the resort as a central starting point with many opportunities for individual holidays in any season. Many hiking trails around the Stubai and Wipptal inviting in the summer to relax and enjoy. Also on your well-deserved vacation to Italy you will pass our house. So you have the best conditions for a relaxing overnight-stay. In winter you can explore the perfect slopes of our mountains with skis. Be on the Stubai Glacier, Schlick 2000, 11er lift, Bergeralm ... to name only some. Each of these lifts can be reached with car within a maximum of 30 minutes . Our spacious rooms are equipped with all comfort. Shower or bath / WC, hairdryer, TV and free Wi-Fi. Some rooms are with balcony to enjoy the beautiful view to the mountains. Even in our two apartments will make you feel at home.